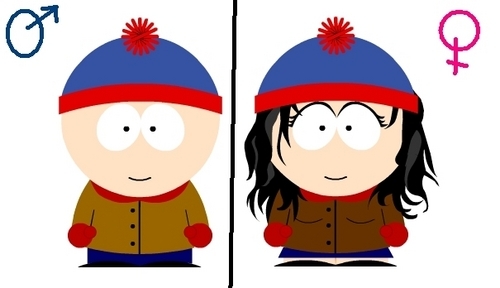 stan as a girl. . Wallpaper and background images in the South Park club tagged: south park. O,O THE STAN CHICK LOOKS LIKE MY GIRLFRIEND!!!!!! Hm, maybe the eyelashes were a little too much. the eyelashes ain't to much dude there just right actually, I wear much more than that !